Cream together shortening and molasses. Add 1 well-beaten egg and 1 teaspoon of vanilla. Mix together flour, baking soda, ginger, baking powder, sugar and salt. Add to other ingredients along with buttermilk. Mix well. Shape into four or five balls—depending on how thick you want the layers. Pat into pans to form 9-inch rounds about ¾ to an inch thick. Bake at 350 degrees for 12-15 minutes. Watch carefully so they don’t burn. Let cool. Then stack with dried apple filling (below) between each gingerbread round. 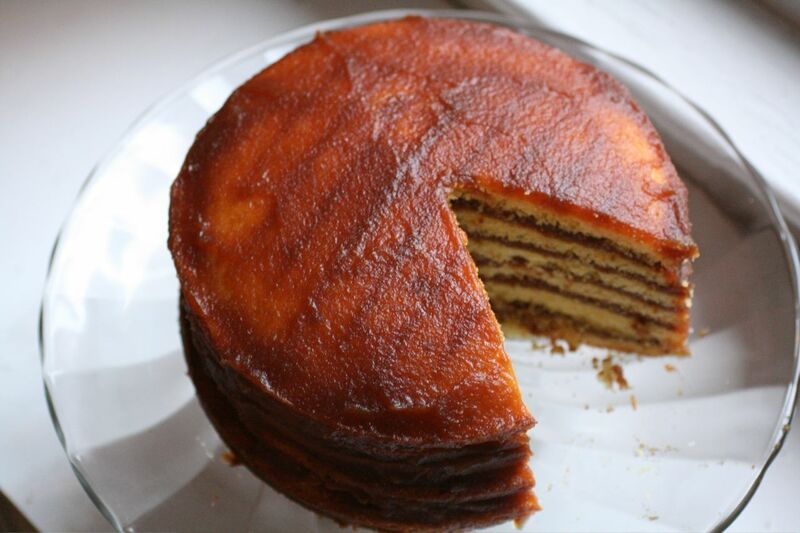 If Zetta had prepared more apples than what she needed to spread between the layers, she would have spread the apple mixture over the top and sides of the cake to provide extra moisture. I prefer to keep the gingerbread dry. Apple Filling: Cook three or four cups previously dried apples in water (may have to add more liquid as they cook). Mash apples after cooking. Add sugar to taste. Spread between each gingerbread layer. Do you ever wonder what is your part in each day and what is God’s? I have. Often. In fact, when I became a single mother years ago, that was a big issue for me. So for help, I turned to the Bible and read about women such as Deborah, Ruth and Esther who faced impossible situations but were victorious. Soon I was personalizing other scriptural principles for my new life. A favorite account was in John 11 with Jesus raising Lazarus from the dead. When Jesus arrived in Bethany, He met Maratha and Mary, sisters of Lazarus, and went to the grave with them. There, He told the men nearby to roll away the stone. Then He said in a loud voice, “Lazarus, come out!” (John 11:43). When Lazarus emerged from the tomb, he still was bound by grave clothes. Then Jesus said to those standing nearby, surely with their mouths hanging open, “Take off the grave clothes and let him go” (v. 44). What? I know the light-bulb-changing rule: It’s righty-tighty, lefty-loosey. But my way wasn’t working, so I gave the bulb a half-hearted turn the other way. It fell right into my hand! As I examined the bulb, I could see the base had been damaged—perhaps as the previous owner had forced it into place. God knew the base was damaged, just as He knows where we are weakest. So the best decision we can make is to do what we can do and trust Him for the rest. What a difference that decision makes! Have you ever experienced a moment when you realized you are older than you thought? I had one of those recently as I read a children’s book from the early 1990s to my young grandson, Noah. One of the characters needed to call his dad, so he picked up the receiver and dialed the phone on a nearby table. “He’s calling his daddy,” I said. He nodded, and we turned back to the book and the adventures of the little boy who needed to call his daddy. But as I continued reading aloud, Noah occasionally glanced up at me as though wondering what it was like for me to live in a cave when the dinosaurs roamed the earth. When I came home that night, I opened my office closet. I can’t wait to show him the manual typewriter with which I address envelopes. And I wonder what he will think about the old cassette tapes and player. Should I show him the carbon paper, too? Well, maybe I better slow down a bit. The information about ancient phone communication may be enough of a shock for now. How about you? What common items do you have that amaze the younger generation? And after you make your list, come on over for a cookout. I’ll supply the dinosaur ribs. I’m a transplanted Kentucky woman who was raised to take care of a husband and children, be a good cook and a gracious hostess. In addition to those accomplishments, I earned a master’s degree and taught at a Detroit suburb high school. My school teacher husband and I had a happy traditional marriage, a colonial home, a summer place, two cars and two beautiful, well behaved children. We had solid plans for a perfect life. And then brain cancer swooped in. Our son, Jay, was 10 and our daughter, Holly, was 8. Suddenly our plans crumbled as we waged a physical and emotional war we thought we’d never have to face. Such challenges happened to other couples, especially those who had lived long lives, right? Wrong. Yes, I begged God not to toss me into that lonely, silent group of widows at church. And I begged him not to take my children’s father. How was I going to raise them alone? How was I going to teach our son to be a man? But God didn’t answer my prayers the way I wanted, the way I begged. Instead, He wrapped me in His arms and whispered, “I am here” even as I watched my husband die. And He was with me when I drove home from the hospital to tell two little kids their funny, loving, faithful dad had died. The days after the funeral blurred. But even though I wanted to stay in bed and never face the world again, I had two youngsters who needed me. They had lost their dad physically; they mustn’t lose me emotionally. So each morning, I made myself face the day, take care of Jay and Holly, get them to school and then get myself to my own classroom. And during those dismal early days, my constant prayer was that our heavenly Father would be real moment by moment and not be like the many people who muttered, “Call me if you need anything” and then forgot about us. And I also asked Him to please bring His great good out my great pain. I didn’t know what that meant then, but I trusted Him—and have continued to do so. What a difference that has made. Married friends often ask me to describe the life of the single mother. They usually don’t want an honest answer, so I provide this word picture: “It’s like walking a tight rope while juggling.” If they ask for details, I’m happy to talk at length. But that conversation doesn’t happen until they—or a beloved relative—face the situation themselves. So what basic things have I learned during this life I didn’t plan for and didn’t want? First, we don’t get over grief, we get through it. And we do that by putting one foot in front of the other and hanging onto the Lord. Secondly, and most importantly, our heavenly Father hears our cries and brings His good out of whatever we give Him. We do not pray to air! 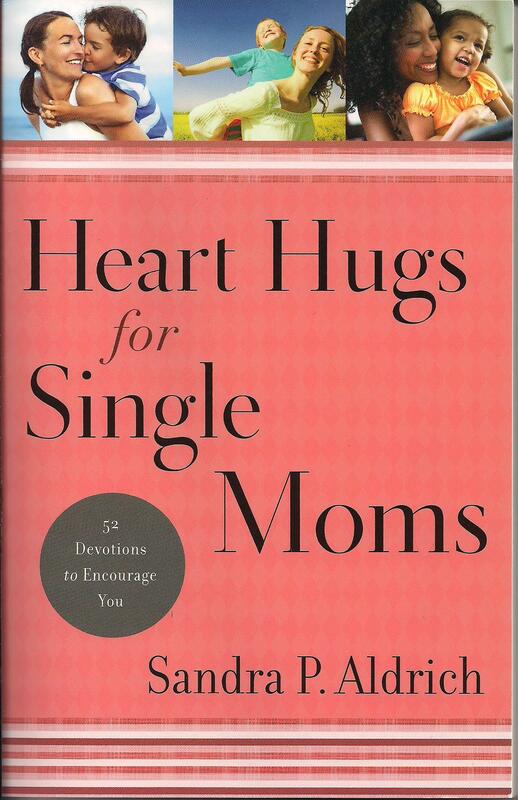 I hadn’t planned on encouraging other widows, specifically single mothers. But here I am. And even though I didn’t choose this life nor this ministry, I am grateful my heavenly Father has provided me with numerous opportunities to wrap understanding arms around other hurting women. One of those opportunities is just ahead at the first Widow’s Weekend at Sandy Cove Conference in North East, Maryland on March 6-8. 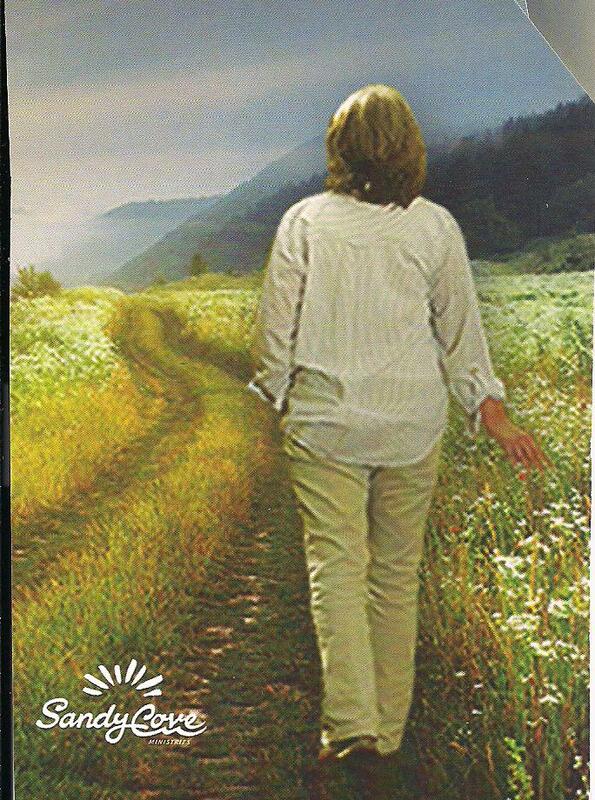 If you are a widow, come join me, Gayle Roper, Betty Southard, Nan McCollough and Ann Downing. And be prepared to be encouraged by five widows who understand. If that final question is the one you’ve chosen, I understand. I’ve had years like that, too. But I refuse to stay in the emotional rut. As midnight December 31 chimes on my antique clock this year, I’m determined to hang onto Psalm 138:3–“When I called, you answered me; you made me bold and stouthearted” (NIV). Being “bold and stouthearted” doesn’t mean we are arrogant or self-centered. It just means we know who we are in the Lord—and we refuse to give in to paralyzing thoughts of inadequacy. Have you ever felt inadequate? Oh, I have! In fact, over the years and despite my supposed accomplishments, I struggle with who I think I should be as a Christian woman. After all, shouldn’t I be slim, silent and musically gifted? Well, none of those attributes describe me. But I’m learning to encourage myself with the delicious thought that our heavenly Father creates individuals and not assembly line robots. Yes, I need to take care of my health and keep working on my weight, but it’s okay to be who I am. 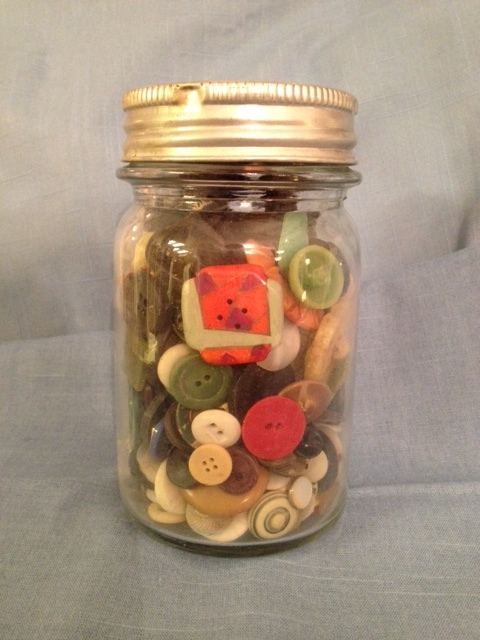 As a fun reminder, I have on my desk a pint jar filled with old buttons. I found the jar in an antique shop one day when I was convinced I’d never fit the “proper woman” mold I felt others required of me. Two button jars were displayed on the store shelf. The first jar held perfect tiny pearl buttons. 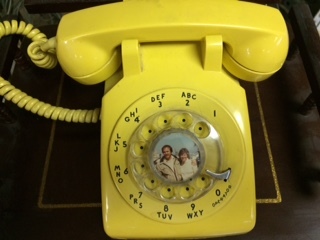 The second was filled with mismatched buttons of various colors. I pulled the second jar from its spot and smiled as I remembered my great-grandmother, Mintie Farley, who let me play with the contents of her blue mason jar during our Kentucky farm days. My five-year-old fingers would separate the buttons into various color piles and line up the big metal ones. There in the antique shop, I turned the jar to study the pink buttons perhaps from a baby’s garment, the coarse browns from a worn-out work shirt, and the bright blues maybe from an old Sunday dress. But the button that captured my attention was the bold red, green, and purple square button that may have fancied up an otherwise drab winter coat. As soon as I saw that one, I took the jar to the cashier—and ignored the container of perfect pearl buttons. Now, whenever I get into a “I’ll never be perfect” mood, I need only to look at that jar to be reminded life would be boring if we all were the same. So if you are a bold red, green, and purple “button” like me who doesn’t fit in the pearl-button world, rejoice! All of us are needed—and fit—in God’s perfect, interesting plan. Happy New Year! How are you at dealing with everyday guilt? If you are a mom like me, you know what I mean. Guilt over not hanging outside Christmas lights. Guilt over giving your child’s teacher a gift card for Christmas instead of hand quilting a delicate red and green table runner. Guilt over hiring someone to make your child’s costume for her spring concert instead of making it yourself. Guilt over not being able to take off from work to accompany your child on his field trip. Guilt over not having a spotless house. Guilt over not doing everything you think you should do. Ah, guilt. Silly, energy draining guilt. I carry more than my share. How about you? But I still struggle. And being a single mother doesn’t help one bit. My children, Jay and Holly, quickly figured out I can handle a crisis but I can’t handle guilt. 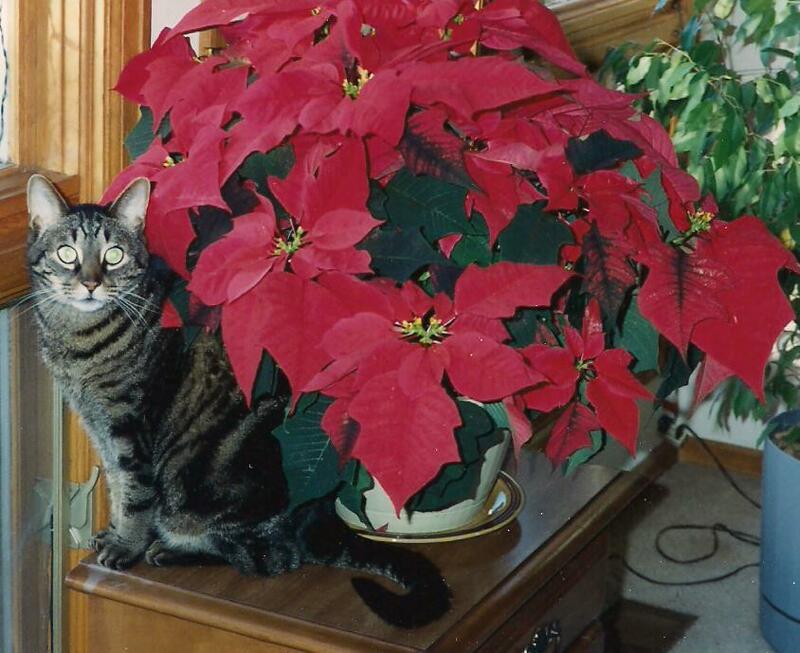 Not only have they used that whenever it was to their advantage, but that’s how we got Petey—-the tiger cat who took over our household—and the critter in this photo. For months, they had been asking for a pet, especially since they remembered our previous animals. At first, I patiently explained my work schedule and their school activities, saying it wouldn’t be fair to an animal to be left alone so much. They’d counter with the argument that a cat likes being left alone. I again said no but with less patience. Sigh. Then a litter of kittens was born in a garage down the street. Each afternoon, the neighborhood children gathered to watch the antics of the little creatures and analyze the varying personalities. At home, our dinner conversations were filled with details of which kitten was the cutest, which one was the most clever, which one was the most playful. I remained unimpressed. I rubbed my forehead, searching for an answer. But I knew I’d lost. “Go get your cat, Holly,” I said. Both kiddos were out the door almost before I finished the sentence. That’s my story of manipulation through guilt. I’d love to hear how you face similar guilt-riddled situations. 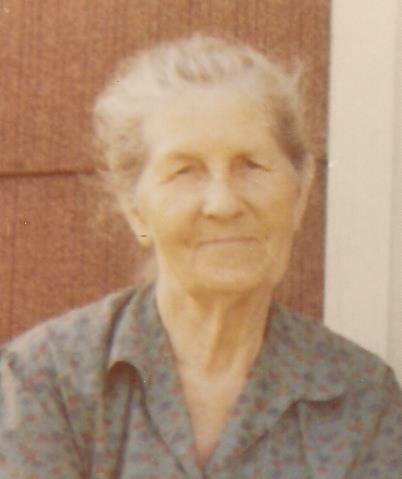 Even though I’m a card-carrying member of AARP, I still ponder the wisdom my maternal grandmother, Mama Farley, possessed. The world undoubtedly saw her as a simple Appalachian mountain woman, but her strength and understanding of life rippled out to all who knew her. And even though she never had read Henry Ford’s quotation of “Whether you think you can or you can’t, you’ll be right,” she understood the power of confidence. As a classroom teacher, I read a study stressing the importance of helping children believe in themselves. I’ve forgotten the study’s name, but I do remember it involved giving students a test and then reporting to the teachers higher scores for those students who had received the lowest ones. Since the teachers believed the students could do a better job—and told them so—the students believed it also and lived up to those expectations. Mable, an elderly friend, modeled this principle in her late eighties. She had raised her family, helped her widowed daughter raise hers, and then decided it was time to do what she’d always wanted: get an education. Because she believed she could accomplish her dream, she did exactly that. Her major? American history, of course! When she died in her nineties, she was making plans to start her master’s degree. If our dream seems unachievable, we can look at it another way. Barbara regretted not getting an education but, at 43, she wasn’t about to sit through four years of teen classes. Then she heard about the GED (graduate equivalency degree) that would take the place of her high school diploma. Within a month of passing the test—on the first try—she signed up for classes at the local college and was working toward her dream of becoming a nurse. And we shouldn’t hesitate to add so called silly things to our believing lists, too. As Jean approached her seventieth birthday, she regretted lost childhood activities, particularly roller-skating. Something inside her demanded she call the local rink to check on lessons. Though she was the oldest one in the afternoon class, and was decked out in knee and elbow pads and a helmet, she skated! And she didn’t break anything in the process. Once she’d tackled that goal, she decided to enjoy the next item on her list: joining a hiking club. Since her list was lengthy, she soon stopped worrying about age. Maybe it’s time for us to look at old dreams with new eyes and new plans. Will everything turn out the way we want? Well, no. But if we don’t try, we’ll never give life to our dreams. So let’s take a deep breath, grasp our heavenly Father’s hand and step forward. Remember, “believing makes it so.” I’m ready. How about you? What dreams are you ready to grab?